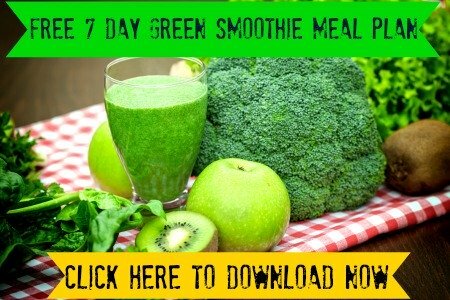 Take The Green Smoothie Diet Challenge! Are you ready to kick-start your own green smoothie diet challenge? 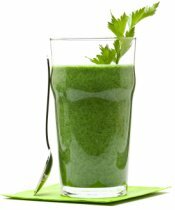 Drink at least one green smoothie per day: At least 8-16 ounces per smoothie. The more the better. During my challenge, I drank at least two 16-oz smoothies per day…and I was always craving more! Do this for at least 5 days straight: Ideally Monday through Friday or whatever your work week is. It’s simply a way for people who are new to green smoothies to start incorporating basic green smoothie recipes into their diets on a daily basis. But are you looking for more guidance? These are not requirements, but tips for making your challenge more successful. All of these are optional! It’s best to drink the smoothie every morning, replacing your normal breakfast. Cut out the normal starchy, sugary breakfast foods and replace it with something wholesome to start the day right. Try a variety of recipes. This helps beat boredom, so you’ll look forward to your next green drink. Use these green smoothie recipes for ideas, or feel free to copy the recipes from my own challenge to take the easy route. Stay away from sugar, alcohol and caffeine. Your only drinks during the challenge should be green smoothies and water. Add in one cup of green tea per day if you really need it. Do you miss flavored drinks? Try lemon water…the natural solution for people who don’t like the taste of water on its own. Just squeeze a bit of fresh lemon juice in your water, mix and enjoy. OK, so now that you know the rules and recommendations of the green smoothie challenge, it’s time to get started! It’s no fun doing a challenge if you’re doing it on your own. Tell everyone you know about your challenge. This will probably happen naturally as people will see you drinking green-colored drinks and wonder what you’re drinking. A perfect opportunity to let them in on the secret of green smoothies! But I suggest you go a step further, beyond verbally telling family and friends. To really hold yourself accountable, it’s best to keep a journal of your progress for the world to see. Nothing worse than letting the world down. The best part? You can post your green smoothie challenge journal here on this site for free. It’s easy to create your journal…just type, click submit, and it will be live on this website shortly! Make your journal as descriptive as possible. Don’t just include which smoothie recipes you chose, but what were the effects? Did you have more energy? Did you hit a slump at 3 pm? Did you need to rely on caffeine? It’s your story, so tell it! Journals must include 5 days worth of descriptions, including: which recipe you used (the ingredients), what the effects were, and your comments. Journals must be a minimum of 300 words total. Anything less than that and I won’t be able to post it as its own page on this website, due to minimum page requirements. For an example of what I mean, take a look at day one of my challenge. Your descriptions don’t have to be this long, but this is the kind of storytelling I’m looking for. Of course, it’s your page…so you are welcome to make it your own, including photos, funny stories, and more. And feel free to share the link with your family and friends, so they can see your story and add their comments. We are all excited to hear your story about trying the green smoothie challenge! Did you have more energy? Did it make it easier to get through the work day? More importantly, will you be continuing with green smoothies in the future?! Start your journal here...give it a title!